In March, the Persian community celebrates Nowruz for two weeks. Nowruz is a non-religious, cultural holiday that marks the beginning of Spring and a New Year. It has been celebrated for over 2600 years, with its roots in Zoroastrian culture. The holiday holds positive themes of rebirth, life, happiness and more. PRERNA volunteer Ramesh Adibi spoke with us about the holiday, and even shared some of her family’s customs and favorite memories. Fitting in with the holiday’s focus on rebirth, Nowruz starts on the very first moment of Spring – down to the exact hour and minute it begins. 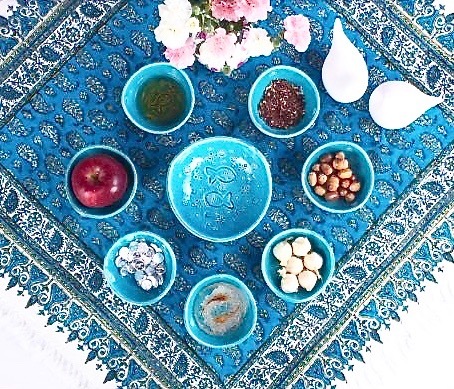 This year, Nowruz began at 3:15pm (PDT) on Tuesday, March 20th. If Spring starts at a very early or very late hour, more traditional families might stay up to welcome the holiday at the exact moment. Every family celebrates differently and some might meet for a meal together later in the day. In advance of the first day of celebration, a special table is set up in the family’s home. The table is topped with seven symbolic items that begin with the Persian letter sinn, which is equivalent to the English letter “c”. Everyone’s table will look different, but common items include: flowers, vinegar, apple, garlic, special sweets, a mirror, candles, boiled eggs, various nuts and dried fruits. Each of the seven items holds a meaning. For example, garlic is to ward of the evil eye, tying into the idea of getting rid of negativity for the New Year. Boiled eggs can be colored for kids (similar to Easter eggs), and the eggs’ specific meaning refers to rebirth. Seven is an important number in Persian cultures, and there are seven main focuses of Nowruz: rebirth, life, patience, health, happiness, joy and beauty. Following that first day, families will visit loved ones for the 13 days of Nowruz. The idea in Farsi (Persian language) is “Did-Dbazdid”, meaning “seen and be seen”. Ramesh tells us there are huge celebrations in Iran, followed by an emptying out of Tehran, its capital city, as residents head to the sea or visit extended family in other areas. The Caspian Sea is a popular spot, and Tehran is very beautiful in the Spring. Wherever they may go, the environment is warm, welcoming, and inviting. Gifts are also common. Older relatives might gift the younger ones with a gold bracelet or gold necklace, or money. If the gift is money, the family member will visit the bank to get fresh, crisp, new bills. Everyone will wear new clothes. Nowruz is celebrated widely in West and Central Asia, and throughout the world where immigrants from these regions have settled. For example, Ramesh is from Tehran, Iran, and moved to Cupertino, California when she was 14 years old. 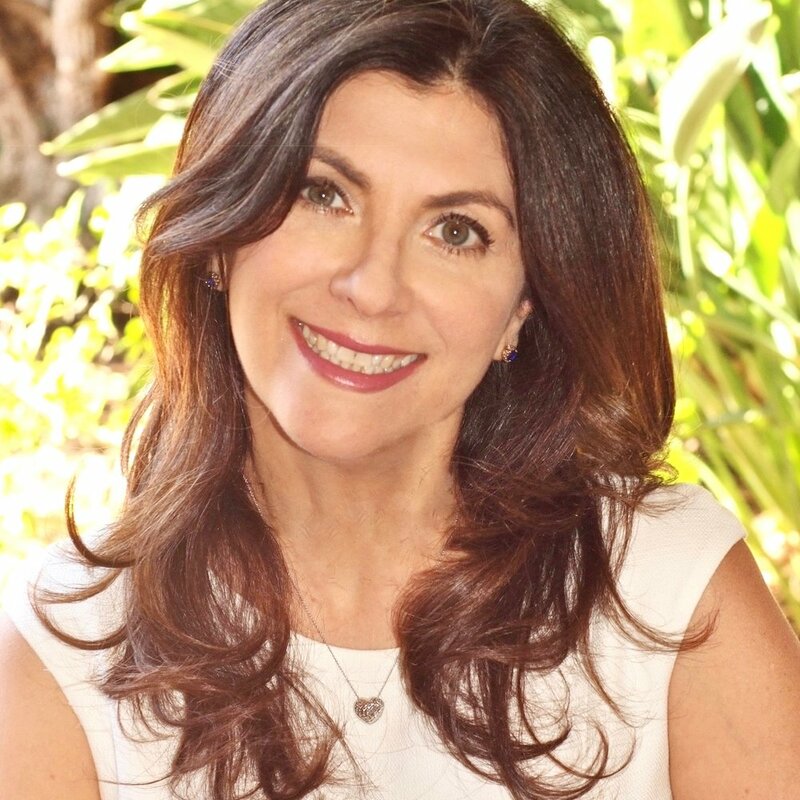 She stayed in California for college and now focuses on her work as a realtor. In her spare time, she also enjoys hiking, dinner parties and traveling overseas. Her favorite part about Nowruz is that it’s a “no pressure holiday”. It’s about being relaxed and spending time with family, not so much about gifts. Among her favorite memories of Nowruz is visiting her grandfather’s house as a child. In the United States, Ramesh continues the tradition of setting up her table with the symbolic items, and invites her family over to her house in the evening. They eat their traditional meal of rice with dill and fish, although she has changed her recipe from usually fried fish to a healthier baked salmon. On the 13th and final day of Nowruz, families will gather again. By this time, the flowers have wilted and are no longer green, and it is time to get rid of all the tabletop items that have gone bad. The traditional way entailed throwing them in a river – another form of symbolism for throwing away the negativity in one’s life and be renewed for the upcoming year. In the spirit of “spring cleaning”, Nowruz is the time to go through one’s belongings and throw or give away anything that is bothersome. It is a time for a fresh start and positive outlook. Many Iranian families in the U.S. will flock to nearby parks for picnicking in green spaces. In Los Angeles, California, where one of the largest populations of Iranians lives, many parks are filled with families. It can be impossible to find parking there that day, and the entire city can tell that it is Nowruz. This is the last celebration before the New Year of hope, happiness, health and prosperity begins. PRERNA is a non-profit, all-volunteer organization whose mission is empowering refugees across all ethnicities and faiths to become independent, productive citizens. We welcome diversity and appreciate cultural holidays and traditions from all around the world, especially those celebrated by our volunteers and refugee families. Reference: “Food of Life: Ancient Persian and Modern Iranian Cooking and Ceremonies” by Najmieh Batmanglij.